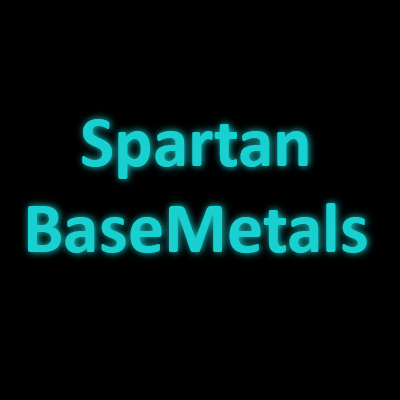 This mod adds all the metal types from BaseMetals to SpartanWeaponry. You should disable the enableModdedMaterialWeapons setting in the SpartanWeaponry config file as this implementation replaces those with one that is more in-line with the balance of BaseMetals. Any news regarding your addons? So, ah... I'm not sure if this is the right place to address this, but I'm having a really weird issue with this mod and Base Metals. If needed, I can remove all other mods so that my crash report is much shorter and easier to read (the crash still occurs). This has got to do with the 1.2 version of SpartanWeaponry. This mod requires the older version. Updating is still on my to-do list. This is great! I've played with base metals for a long, long time, and recently looked into spartan weaponry, but was worried about how they'd work together. Those worries are gone! Thanks! As the lead programmer on BaseMetals, I approve this project. Good job, Kovak, from the quick look I gave the code, its well done and should be easy to maintain across the board. Happy Hacking! Hey thank ya'll for building/maintaining such a great api. I've been using BaseMetals since around 1.8.9/1.9.0 I don't quite remember, and the form its in nowadays is really great. As the programmer of Spartan Weaponry, I also approve this project. Nice work with this mod Kovak. Just a heads up though, the next major update for Spartan Weaponry is gonna break this version of the mod, mainly to do with edits to base weapon classes, and some code being moved. Might I suggest you add the version number for my mod in your dependencies string? That way if this is run with newer versions of Spartan Weaponry, it won't cause a crash, but provide a message saying that your mod is incompatible with the version of Spartan Weaponry that is installed. On a side note, I *really* should consider making an API for Spartan Weaponry to allow ease of with making addon mods such as this. I'll get a new version up with the version requirement pretty soon. By the way, while you didn't intend to make it public: your mod has a beautiful design and was incredibly easy to work with. I particularly love the way you did coloring the custom weapons. It already is a really good API, exposing a little more publicly would make this even more obvious. It would be cool to perhaps have a way to register callbacks for the ItemSwordBase class methods instead of having to override the final descendent classes for each weapon to insert the BaseMetals logic, and other mods that want to add special abilities would probably need a similar interface. I definitely plan on eventually using your API to make some stronger, magic weapons for my RPG mod and I'll either be doing even more overriding of all the child classes or it would be awesome to have some way to implement it on the ItemSwordBase. Adding callbacks to allow extra code to be used for my weapons would be a great idea! It's certainly a good place to start writing an API for the mod. I'll see what I can do to make this a reality.